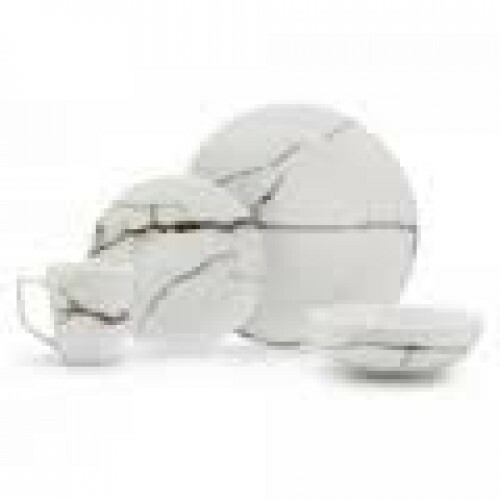 The Marble collection of dinnerware is designed for those with a flair for the dramatic. the Marble Dinner Set is the perfect way to enjoy a delicious home-cooked meal, from your entree right through to your dessert cup of coffee. The sixteen-piece set of bowls, plates and coffee cups is perfect for casual entertaining, so clear a place on your table and enjoy the sophistication S&P dinnerware has to offer. 4 x 19cm Side Plates.